The Heart of Art is the artbook that features the special effects makeup and fine art of Japanese artist Akihito Ikeda. He has worked on many big name Hollywood films such as AVP: Alien vs Predator, Alice in Wonderland, Terminator Salvation and The Hunger Games among others. The book's a 124-page paperback. Akihito is an artist that plays many roles. He can be a designer, sculptor, makeup artist or fine artist depending on the job. 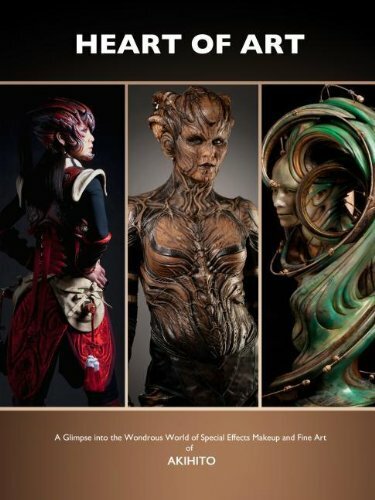 This book will show you his designs, sculptures, and makeup work. There are also some behind-the-scenes photos of him at work, and sequence shots of creating moulds for his sculptures. I'll be reviewing the book when it's out, but first check out the preview pages below.